Choosing your Charlotte realtor wisely. Be treated like a rock star! 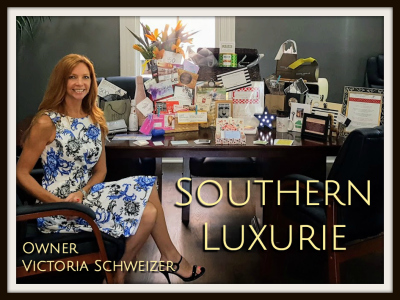 Owner and Luxury Ambassador, Victoria Schweizer with a sampling of what is included in the Southern Luxurie ​Welcome Baskets.